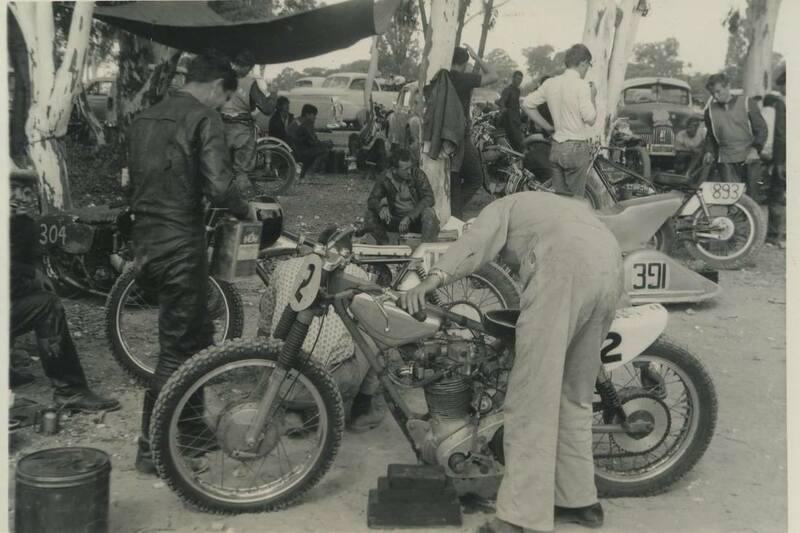 The Stonecliff track was built by the Orange Sports Motorcycle Club after they forced to leave there exzisting short circuit track in Orange, The track was a kidney shaped track built on undulating ground in the middle of a paddock provided free of rent by a local farmer in Emmett Fanning. Racing on the short circuit track consisted of Solo Motorcycles, Sidecars and tq,s. 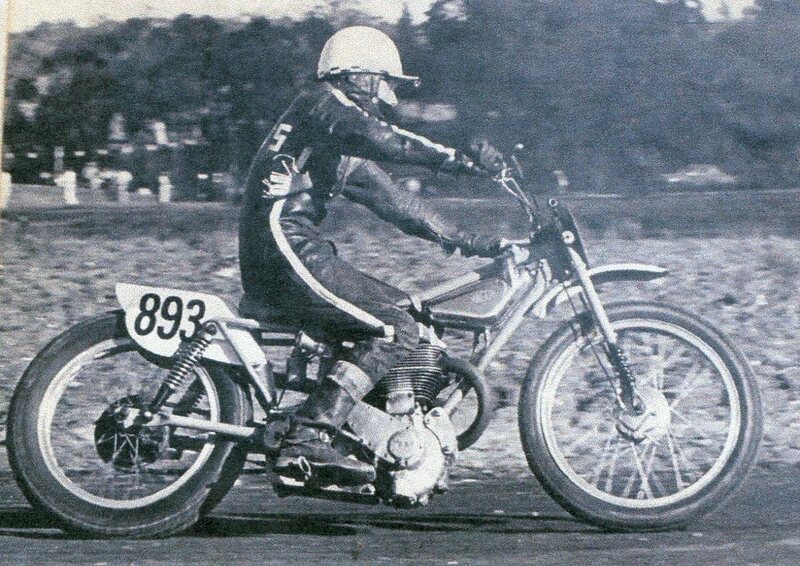 The promoter of Stonecliff Speedway was Guss Randell from Orange, he worked for one of the motorcycle dealerships in town. 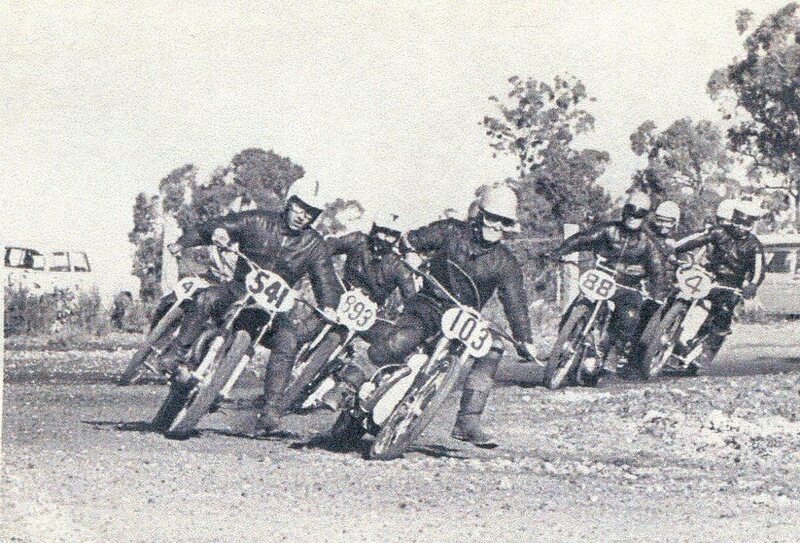 Lyndel Butler recalls: our family have some very happy memories of the speedway track at Clergate. 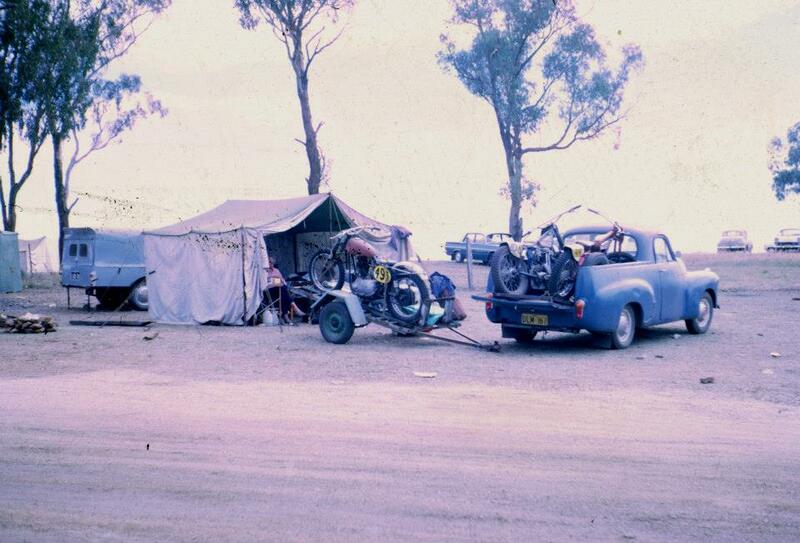 A meeting was held at Bathurst one Easter weekend, the meeting went from Thursday to Saturday, we as a group would set up and camp on the mountain until Sunday and then move to the Stonecliff track and camp until Monday to avoid the traffic back to Sydney. 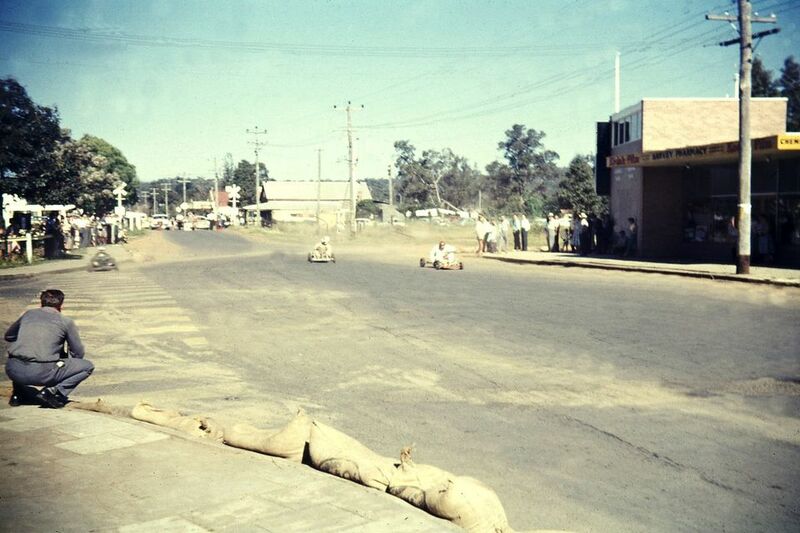 The track must have closed around 1972 as the Western Districts Short Circuit Championship was moved to Cowra. 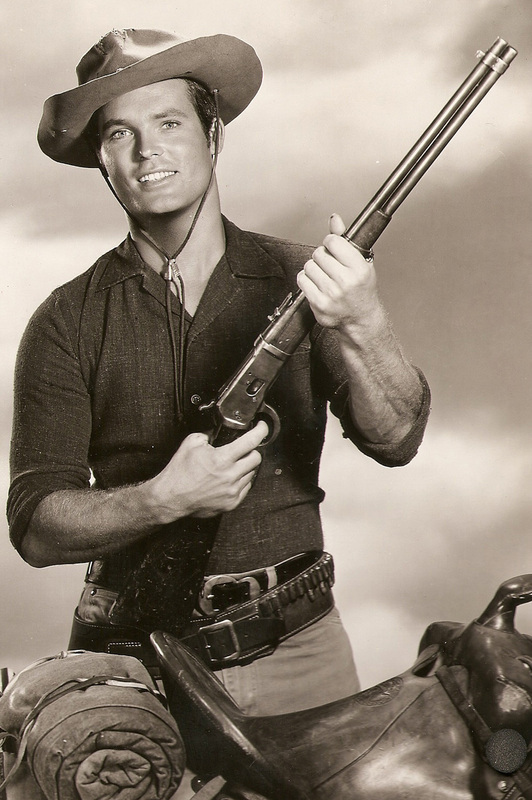 I have some movies of the races there, Ty Harding from the movies "Wagon Train" and "Battle of the bulge" had a team race there. 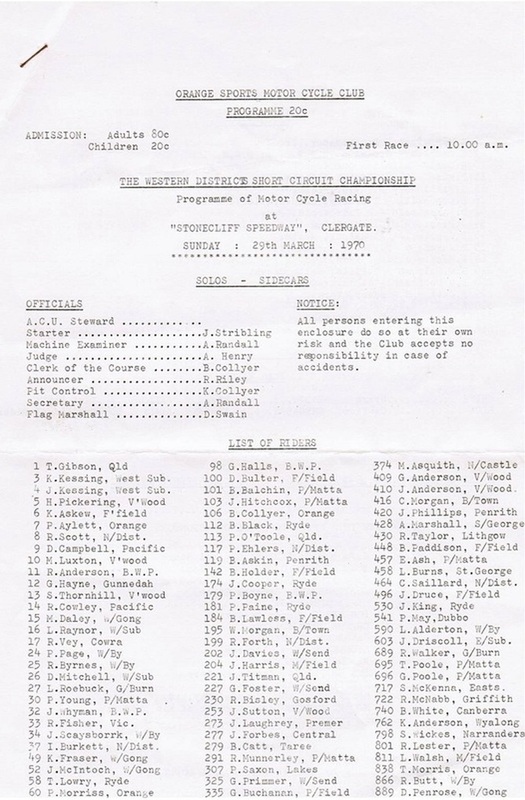 John Hitchcox 103 - Peter May 541 - Ron Lea 893 fighting for positions in the senior B final. Photo: Won Lea. Ron Lea rode well on his 500 Gold Star BSA to take out the senior B final at Stonecliff. Photo: Geoff Cowan. 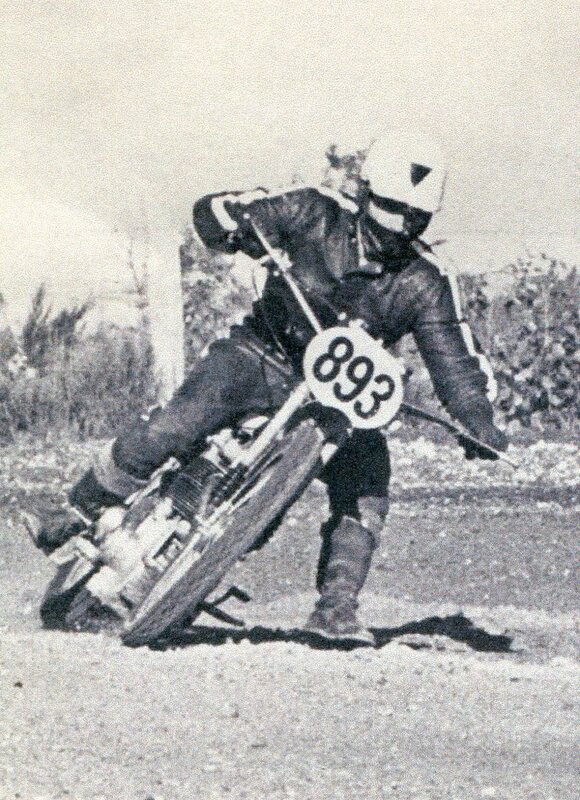 1971 - Alan Hill from the St George club rode the number 515 Hagon Jap to a win in the Western Districts title. Alan Baker Recalls: My farthers family came from an area centred around the Orange district of NSW out to Clergate, I often stayed at my uncles house, my uncle lived in one of the local gate keepers house's and worked for the railways,when the railway phone rang we would run out and close the old pipe framed crossing gate to stop motorists from being run down by the trains. I was about six years old at the time and as i clung to the closed gate and the train rushed by I heard cars pulling up behind me, At the time I had no idea what these things were on trailers but i was told later they were speedway machines, the machines would be towed through the then opened crossing gate down a dirt track past the Clergate School and left into the farmers paddock. 1960's The Gate keepers house next to the railway line were I spent my holidays as a six year old Photo: Allan Baker. 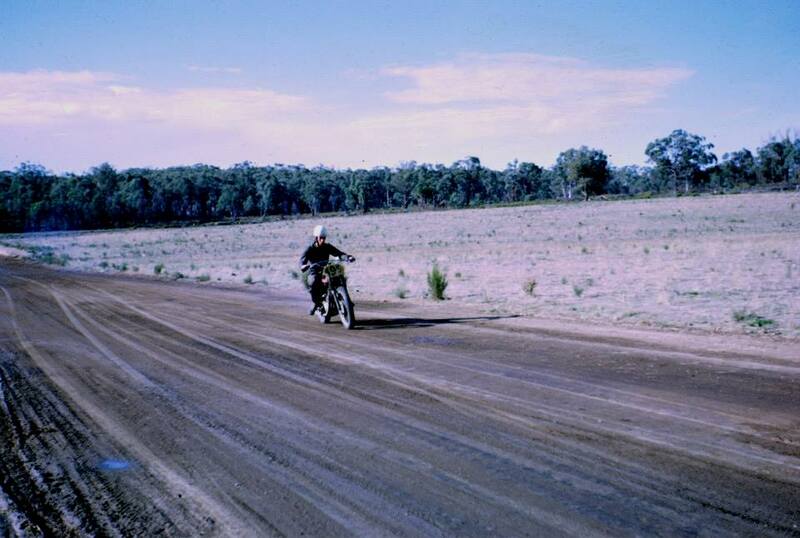 1960's The dirt road to the speedway off Claregate Road Photo: Allan Baker. 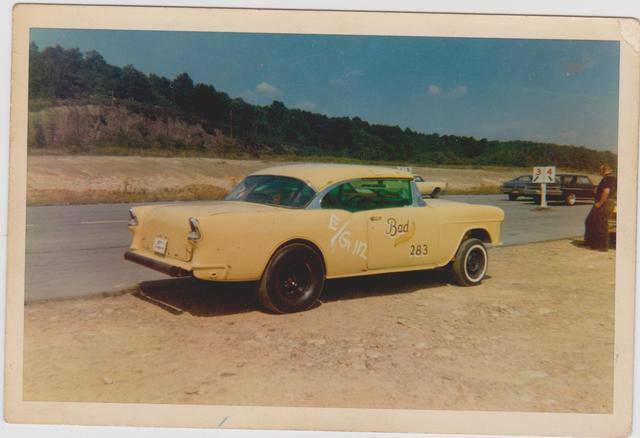 John Langfield Recalls: while competing at a meeting one day at Stonecliff Speedway a scrub fire broke out about mid way through the meeting along the back straight, The orginisers called for an early intermission and while spectators looked on the competitors rushed over and beat the flames back anyway they could. 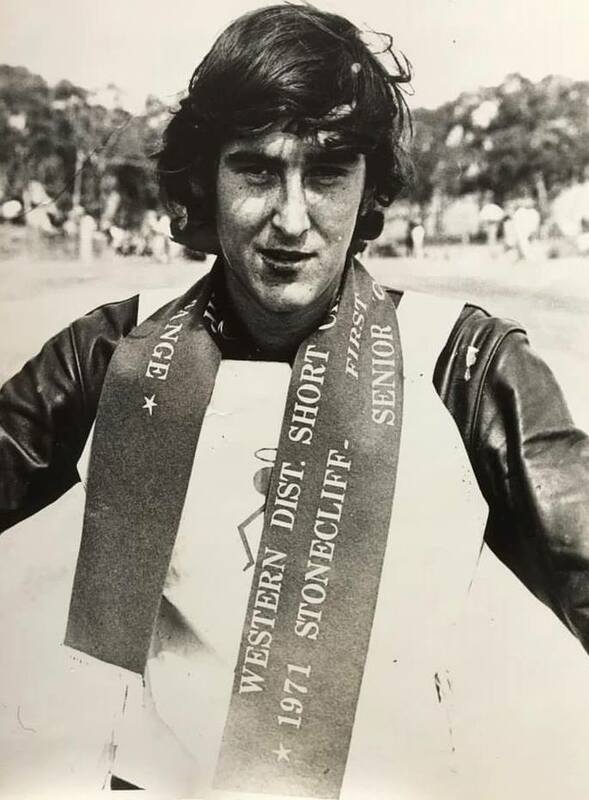 ﻿﻿﻿﻿Bob Pankhurst recalls: We all went to Stonecliff to race our solos after a Bathurst meeting, Stonecliff had a long fast straight and a tight turn one, Turn two drifted out into the ﻿wheat fields. When we got home from Clergate we had to wash our bikes, if we didn't it would have wheat growing out of it by the next weekend. Alan Baker recalls: from memory leave Orange on the road to March, a few miles out of Orange turn right into Claregate Road, this dirt road you would follow up to the railway crossing, cross the railway line and turn left into another dirt road, follow this dirt road to the track.